Al Ek Rock Harmonica DVD download. 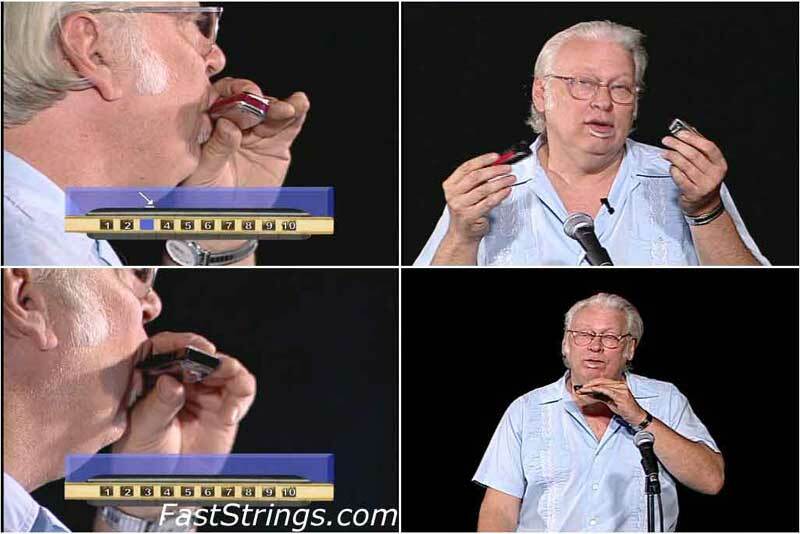 With Rock Harmonica, beginners can learn how to play harmonica from the ground up. More experienced players can take their playing to the next level with outside-the-box thinking and lessons on playing in different positions. The first half includes instruction on notes, scales, tongue blocking (That’s what your mom said), vibrato, trills and more. The second features lessons on cool licks in the styles of 11 rock harmonica masters, including Bob Dylan, Neil Young, The Beatles, Led Zeppelin, Tom Petty and more! All lessons are presented both on the DVD and in the book.